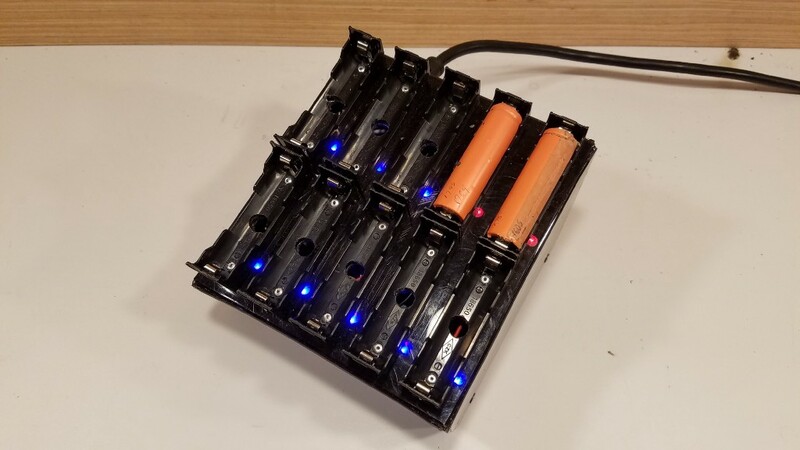 If you’re working on a project that will require a rechargeable battery pack, there’s a good chance you’re going to use lithium-ion cells — specifically the ubiquitous 18650 li-ion batteries that can be scavenged from used battery packs. To use those, you’re going to need a way to put them through charge-discharge cycles so you can identify the good cells and match them up. You could buy a charger, but Daren Schwenke’s Minimalist Li-Ion Charger is cheaper to build and likely charges much more quickly. Schwenke designed this charger while working on his REMB (Razor Electric Mountain Board) project, which is an electric all-terrain skateboard built from upcycled Razor scooter parts. That requires a substantial battery pack, which meant Schwenke needed to test a lot of 18650 batteries. To test them, he needed to put each cell through at least two complete charge and discharge cycles. He had already built a custom discharger, but the commercial li-ion charger he was using took way too long for those cycles to be efficient. 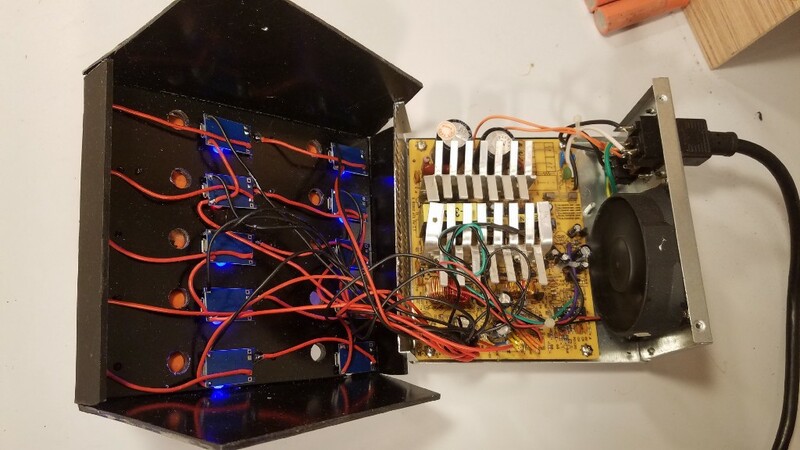 The DIY charger, which you can build for about $18 worth of parts plus a used ATX power supply, can charge up to 10 18650 li-ion batteries simultaneously at 1A each. It uses inexpensive TP4056 USB charger modules that cost less than a dollar each, and simple plastic battery holders than also cost under a dollar per unit. The ATX power supply drives the chargers, and is capable of supplying more than enough current for the job. This design doesn’t feature any kind of reverse-polarity protection, but it’s an affordable way to quickly charge a lot of 18650 batteries as long you’re careful about their orientation. Build Yourself a Minimalist 18650 Li-Ion Charger for Quick Cycles was originally published in Hackster Blog on Medium, where people are continuing the conversation by highlighting and responding to this story.